"Single Rail Regulator used pin1,2 or pin3,4 only"
One rail for the CPU. Another rail for the Pico Box . +5V to powered the SSD and USB card. Using a heavy full Aluminum Chassis as the Heat sink for the Regulator Module. Fanless and Sealed to ensure the top Sound Quality. A Linear PSU including Power Transformer and Regulator Module. Of cause you have to use a Aluminum Chassis as the Heat Sink for the Regulator Module. 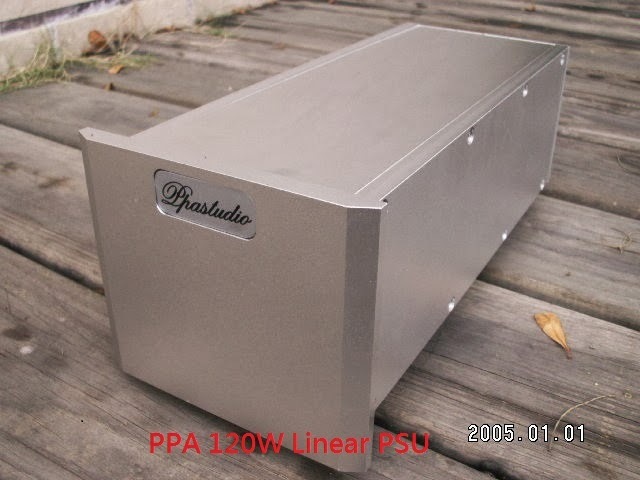 Separating Power Transformer will provide more options with low profile chassis for your Music Server. You could replace the Power Transformers for the different grade of the Sound Quality also. One module could be single rail or dual rails DC output. Dual rails will offer 3.3V to 24V x2 with 6A each(max.) DC output. And the lowest resistance at high current output. Assembly with seleted audio grade components. Compatible with Aluminum Chassis and Streacom FC5,FC9,FC10 chassis. Fixing screw from bottom board.